India and Israel are currently experiencing a renaissance in relations, with the Indian Foreign Minister Sushma Swaraj having just concluded a visit to Jerusalem. You might be interested in the article recently published in the Jerusalem Post by Suzanne Rutland, Professor Emerita of the department of Hebrew, Biblical and Jewish Studies at the University of Sydney, describing the diplomatic process that led to the cultivation of ties with India, including the role of Isi Leibler. “One day India may discover that her one-sided orientation in the Middle East is neither moral nor expedient. She may yet adopt a truly independent policy between the Arab states and Israel; only then will she be able to become a factor working for peace in the area which Indians call ‘West Africa.” – Dr. S. Levenberg, January 4, 1957, Jewish Observer and ME Review, p.14 Despite the optimism of this hope expressed by Jewish Agency representative Dr. S. Levenberg, it took 35 years before it was realized. 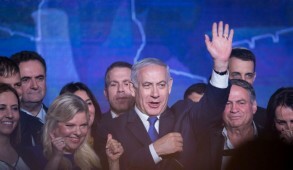 On Monday, Prime Minister Benjamin Netanyahu welcomed India’s external affairs minister Sushma Swaraj, and the two discussed increasing the already lucrative ties between the two countries. But the road to cooperation between the two democracies was not without struggle. Until 1992, India refused to grant full diplomatic relations to Israel. Even though the two nations shared much in common, and despite efforts made by Jewish leaders, including key Australian figure Isi Leibler, there seemed to be no chance of change. However, in 1991, a number of factors led to a dramatic change. Leibler and Australia’s role in India’s granting full diplomatic statues to Israel has been largely forgotten. With the full realization of Levenberg’s hope – thanks to Indian Prime Minister Narendra Modi – it is worthwhile recalling this history. IN 1947, Jawaharlal Nehru became India’s first prime minister. He was concerned with maintaining India’s neutrality in relation to the Cold War and with building the block of Third World nations. In November 1947, India voted against the partition of Palestine, but in 1950 Nehru granted de facto and de jure recognition to Israel. Yet, for reasons of expediency, he left the question of diplomatic recognition unresolved due to concerns about the Arab world, India’s 40-million- strong Muslim minority and the conflict in Kashmir. But he did not change his policy. After Nehru’s death in 1964, his daughter, Indira Gandhi, became the dominant figure until her assassination in 1984. 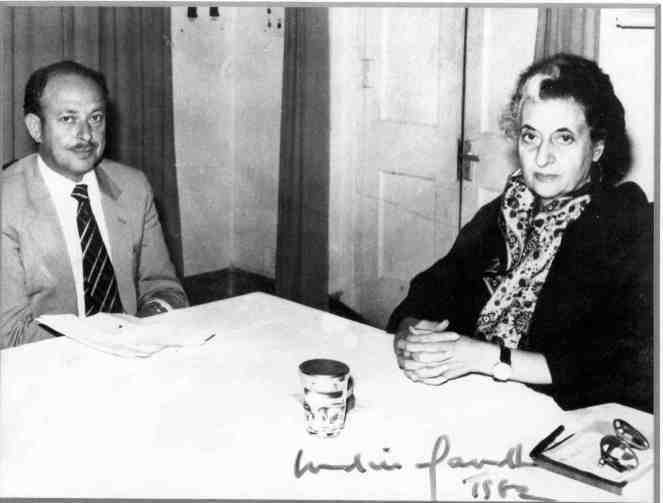 She sought to strengthen India’s connections with the Arab world and remained very antagonistic to Israel. During the Six Day War, India supported Egypt, Russia and the Arab world. Commenting later, US B’nai B’rith leader William Korey wrote in The New Leader that the war “unmask[ed] India’s posture of Olympian morality and neutrality – so carefully cultivated among liberals through the world – as sheer pretense. Similarly, during the Yom Kippur War, India continued to maintain its anti-Israel policies, largely due to its dependence on Arab oil and trade. 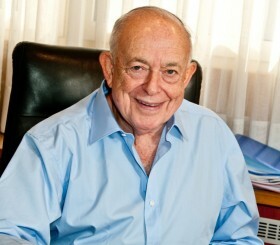 In 1978, Isi Leibler was elected as president of Australian Jewry. He had founded Jetset Travel, the largest travel agency in the Southeast Asia/Pacific region, and was keen to build links between Israel and the Asian countries. At the same time, the World Jewish Congress was becoming more aware of the importance of the region and Leibler was appointed as vice-president of the World Jewish Congress, Asia Region. She ended by saying that she felt that Israel “hated” her and stressed that she liked Jews. INDIAN AND Israeli relationships continued to deteriorate, particularly after the 1982 Lebanon War. In 1984 the Indian government rejected visa applications of former Indian Jews, now Israeli citizens, wishing to visit relatives. After his mother’s assassination, Rajiv Gandhi continued his mother’s anti-Israel policies. He was concerned about ensuring Muslim support, as Muslims constituted 12 percent of the population. Until his assassination in 1989, no change was in sight. 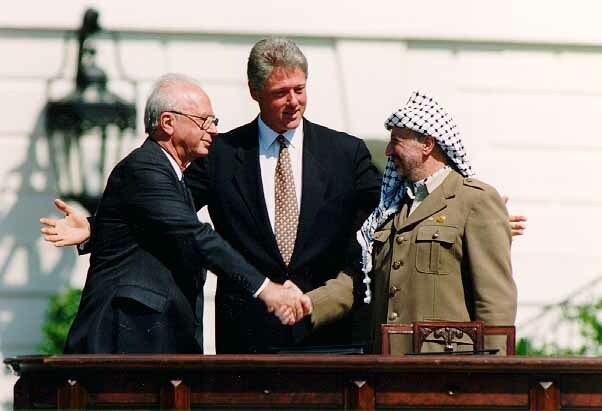 However, in 1991 there was a major international paradigm change, sparked by the collapse of the Soviet Union, the 1991 Gulf War, and the Madrid Conference about the Israeli-Palestinian conflict. 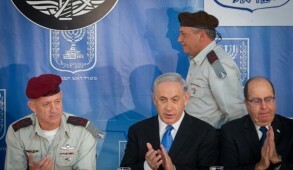 A more positive attitude to Israel emerged. Policies were influenced by the commonalities between the two countries, both emerging from British rule and being young democracies building their own institutions. As well, there were no conflicting interests in trade or politics, and mutual benefits in economic co-operation. In November 1991, at the request of Israel’s Foreign Affairs Ministry, Leibler visited India, in the hope of meeting with Indian prime minister Narasimha Rao, who had been elected in June 1990. Leibler worked closely with Dr. Moshe Yegar, deputy director general of the Foreign Affairs Ministry, in charge of Asian, African and Pacific affairs. Yegar himself visited India in July 1991, following the kidnapping of Israeli tourists in Kashmir, but was lectured on Palestinian rights. 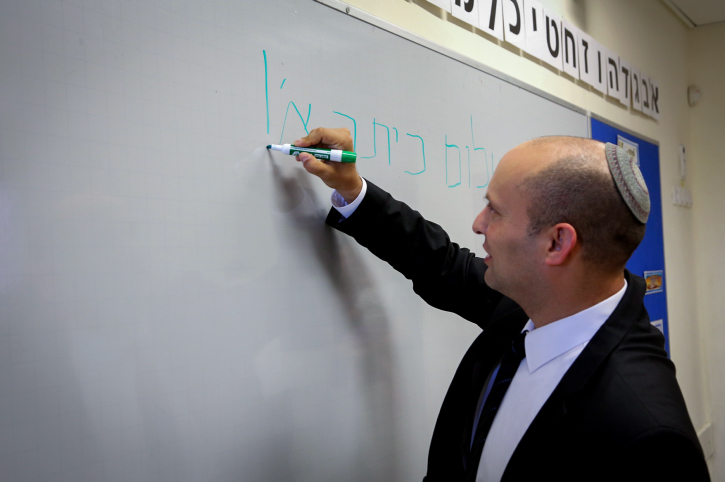 Just before Leibler’s visit, Rao enjoyed a resounding by-election victory. There were other foreign dignitaries in New Delhi, so Leibler was unsure if the meeting would take place. However, an appointment was organized through the Australian ambassador, David Evans, assisted by two pro-Israel MPs and especially Steven Solarz of the US Asian sub-committee. 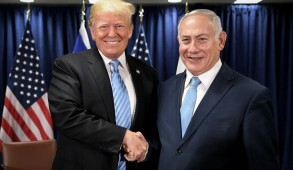 They met on November 21, the first such meeting at this level with a Jewish leader and an Indian prime minister for many years. Evans and the head of the Indian Jewish Congress accompanied him. Leibler raised a number of specific issues in relation to Israel and India’s Jewish community. AT FIRST it appeared that there would only be minor changes. India agreed to expand the Israeli consulate in Kerala, as well as Bombay, but on November 25, the deputy foreign minister stressed that India refused to grant full recognition until there was progress regarding the peace process with the Palestinians. As late as January 1992 it seemed as though there would be no substantial change. In early February, Leibler again met with Rao, and they had a massive confrontation. Leibler told Rao that if he continued to reject recognition of Israel, his forthcoming visit to the US would be disastrous and he would be accorded similar treatment to Saddam Hussein. The announcement of full diplomatic relations two weeks later was a surprise and the Indian Foreign Ministry had no advance notice. Obviously Leibler’s message played a role in Rao’s sudden change of heart. 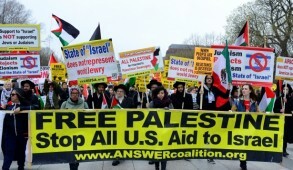 Leibler flew to New Delhi to convey to Rao the gratitude of prime minister Yitzhak Shamir for India’s UN vote against the anti-Zionist Resolution 3379 in December 1991. He also expressed the appreciation of the World Jewish Congress for the move and India’s granting full diplomatic relations to Israel. Leibler’s second visit in February 1992 was also very important, because it made clear to the Indian government that world Jewry really appreciated Rao’s actions. They also did not suffer any backlash. Now, 24 years later, the full flowering can be seen with the current Indian government under Modi, marked by the present visit of the Indian external affairs minister Sushma Swaraj. The writer is Professor Emerita in the department of Hebrew, Biblical and Jewish Studies at the University of Sydney. She is the co-author, with Sam Lipski, of Let My People Go: The untold story of Australia and the Soviet Jews 1959-89, Gefen Publishing House.